In the midst of another experiment in muffins, I watched Roger Ebert’s TED talk. I attempted to tweet about it, but failed. I didn’t know he said this at the time, of course. But, for as long as I can remember, I have been listening to, and reading, what this man has said about movies. Sometimes I re-read his reviews of films like The Shawshank Redemption because they are, in their own way, works of art. At my first ever surprise party, someone gave me a book of his reviews called, Awake in the Dark. I have a vague memory of recording his review of The Phantom Menace because: 1) I did not want to miss it. 2) I wanted to be able to pause and fast-forward so as to hear the review without being spoiled for the movie. For the past few years, I have missed listening to him talk about movies. Ebert lost his voice some time ago due to surgeries performed in an attempt to rid him of cancer. If you have not, you should read this Esquire article about Ebert's experience. 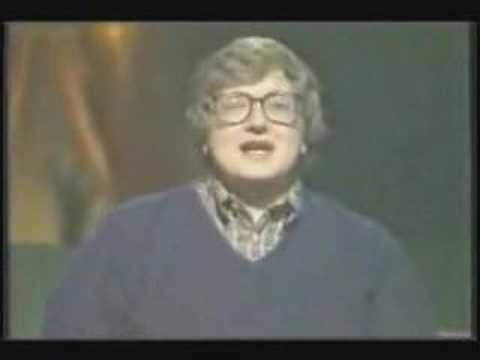 Ebert has, during this time, become quite the prolific blogger and tweeterer on all manner of subjects cinematical, political, and galactical. He has not stopped talking, you see. Not really. And now, one day, it looks as though he may have a voice again. Sort of. Listen. Happy Sunday, readers. I must go remove a pan of muffins.